Organizations thrive when employees feel valued, the environment is energized, and high productivity and innovation are the norm. This requires a new kind of leader who fosters a culture of connection within the organization. Michael Lee Stallard’s Connection Culture provides a fresh way of thinking about leadership and offers recommendations for how to tap into the power of human connection. 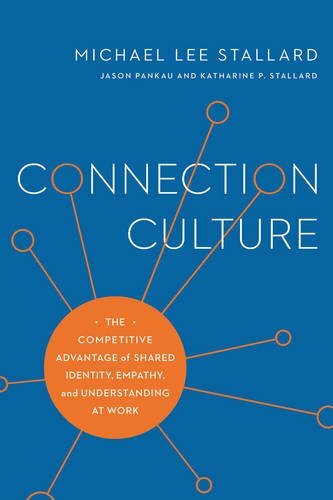 If you want to begin fostering a connection culture in your organization, this book is your game-changing opportunity. Stop undermining performance and take the first step toward change that will give your organization, your team, and all whom you lead a true competitive advantage. boost vision, value, and voice within your organization.